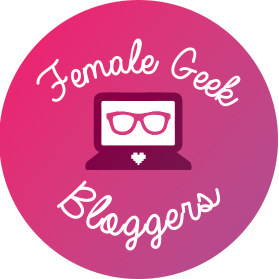 I found this tag over at A Geek Girl’s Guide and thought it be a great post to feature on my blog! (And I’m writing waaayyy too many long posts this week that just aren’t ready yet so have a cool tagged post for now!) I encourage all of my blogger friends to participate and link back to Michelle’s initial post of the tag! If you’ve been reading my blog for any amount of time, you know how I feel about shooters. This answer shouldn’t surprise anyone: Fornite. My husband loves this game. I’ll watch him play every now and then but I really couldn’t care less for it. This is a hard one to answer, but I’m going with Kingdom Hearts I. There’s so much love for the series itself but KHI gets a lot of hate. People complain all the time about its wonky mechanics and complicated story line (I mean, we haven’t even seen the tip of the iceberg yet in the first game of the series). I love this game though despite its faults. I have a bunch of these at home just sitting in our entertainment center, begging to be donated… I’ll go with Assassin’s Creed. Currently, I’m in love with Stardew Valley. I haven’t played it in over a week thanks to life in general, but I love the simplicity of it. I can do whatever I want: farm, mine, beat up monsters, fall in love, build, and care for my animals. It’s the life for me. Any horror game. I tend to fight fear with humor. A great example of this is Silent Hill 2. My childhood best friend and I had so many inside jokes that left us in tears while we got every ending for this game. If I hate a game, I don’t finish it. Hence my giant pile of games that are awaiting to be donated. I love superheroes, so when I saw Batman: Arkham Asylum on sale at GameStop, I snatched it up and brought it home. Unfortunately, I hated it. I didn’t enjoy the missions much and it was just a slog to play. A good friend of mine introduced me to a multiplayer game on Steam called 7 Days to Die. But Megan! You hate shooters! You are correct. 7 Days is a shooting game, but has a Minecraft element that I really love. Yeah, we gotta fight zombies sometimes, but building is so much fun! Spyro! I can’t wait to play all my favorites again in a beautifully remastered way! Want to do the Gamer Confessions Tag? Here are the questions you can copy. I saw this a few months ago and started my list ready to make a post with my boyfriend. Now my blog has been rebranded, we’re just awaiting a joint name and then I’ll definitely give this a go! I love writing posts like this and it was great to hear your answers! Made the big changes yesterday from Rockker66. It’s been a long time coming but I finally went for it! Super proud of you! I just glanced at it (haven’t had a chance to read your post) and it looks great! Aww thank you, means a lot :’) I’m hoping everything will go to plan! This is a neat idea. I might do this and give the proper shoutouts when I do :). You hated Batman? That’s rare. Most people love it :). You totally should! And I know… I wanted to like it so badly but got so tired of the missions. Same goes for Assassin’s Creed. I love Batman and can relate to Assassin’s Creed. I did really love Black Flag and Origins though. I’m looking forward to Odyssey later this year :). I’m working on my list now. Should be up by tomorrow :). Sweet! I look forward to it! I’m actually thinking about revisiting both games to see I can finish them. Good luck with that :). The only thing I hated about Origins is that it forced me out of the fun stuff by making me do the Animus things that I don’t think anyone cares for anymore. The rest of the game was really good. Batman Arkham Asylum is… different. The games that came after it are open world and that one is really linear. I actually really love Asylum because of that. I’ll keep that in mind when/if I revisit them. I really want to but I’m afraid I’ll just find it unenjoyable and quit again. I know! I always go for archer and need to break my mold. Hahaha yeah it’s good to change sometimes ? I really love Arkham Asylum – it’s one of the rare games I’ve actually played more than once. It can get a bit mundane searching around for things, but the game play is awesome and I love all the little Easter eggs. I’m with you on Assassins Creed though. I love the idea, and I’ve picked it up to play so many times, but I get bored of it so quickly. You’re making me think I should really give Arkham Asylum another shot. To be honest, I’ve never played Kingdom of Hearts but back in high school I would sit and watch my brother play for hours. Haha. I’m a very picky gamer. While I like games from across genres and play types, I either love a game or don’t and never finish it. I have a hard time with loving or hating games as well. It makes my rating system look biased lol. Oh!!! I am stealing this for my personal blog!!! I am the same way, if I hate a game I rarely finish it!